God of War has a difficulty level that’s so challenging that Cory Barlog himself hasn’t even beaten it yet. The creative director knows the ins and outs of the latest game in the God of War series, but when speaking to Finder AU, he said that the Give Me God of War difficulty level is one that he’s not yet beaten. Perhaps he’s been too caught up in perfecting the game to finish the hardest difficulty level, but if he’s having trouble with it, players most certainly will too. 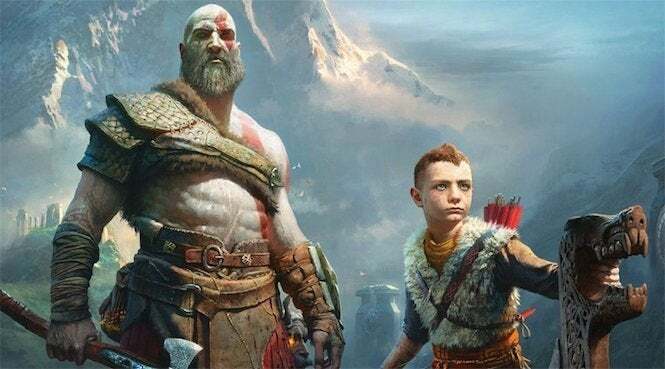 While Santa Monica Studio wanted to create a challenge for God of War, Barlog said that the higher difficulty level is also a result of players and other games raising the bar for challenging experiences. The developers kicked around the idea of making the difficulty level one that unlocks at the end of the game instead of making it available upfront, but Barlog said that he wanted it to be an option at the beginning. He added that he’s already seen people start the game on that mode only to back out as soon as they hit the first fight. If you want to back out of the mode, you’d better do it early. Unlike the other difficulty levels that players can switch between, once you choose Give Me God of War, you’re locked into that difficulty. The only way that you can get out of it is to restart your game, so choose carefully before advancing too far. God of War launches on April 20 for the PlayStation 4.